Vintage Airproven engineering and performance you can trust. Pit Stop USA is The Online High Performance Superstore! We feature Air Conditioner Trinary Switches at low everyday prices. Pit Stop USA is The Online High Performance Superstore! We feature Air Conditioner Condensers at low everyday prices. Pit Stop USA is The Online High Performance Superstore! We feature Air Conditioner Driers and Accumulators at low everyday prices. Pit Stop USA is The Online High Performance Superstore! We feature Air Conditioner Duct Hoses at low everyday prices. Pit Stop USA is The Online High Performance Superstore! 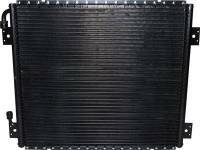 We feature Air Conditioner Evaporator Cores at low everyday prices. Pit Stop USA is The Online High Performance Superstore! We feature Air Conditioner Evaporator Mock Up Units at low everyday prices. Pit Stop USA is The Online High Performance Superstore! We feature Air Conditioner Fittings at low everyday prices. Pit Stop USA is The Online High Performance Superstore! We feature Air Conditioner Hoses and Lines at low everyday prices. Pit Stop USA is The Online High Performance Superstore! We feature Air Conditioning Interior Vents like Billet Air Conditioning Vents at low everyday prices. Check out the Recently Listed Air Conditioning Condensers and Components. Check out the Recently Listed Air Conditioning Driers and Components. Check out the Recently Listed Air Conditioning Evaporators/Kits. Check out the Recently Listed Air Conditioning Kit Components. Pit Stop USA is The Online High Performance Superstore! We feature Climate Control Panels at low everyday prices. Check out the Recently Listed Climate Control Panels. Check out the Recently Listed Duct Hoses. Our goal is to help you cool your specialty vehicle in a more informed way with parts specially designed for street rods, sport trucks and performance cars. We want to supply you what you really need to get the job done right!